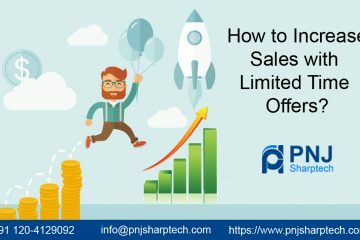 How to Promote Start-Up Business with PPC Services? One of the fastest and effective ways to drive the relevant traffic to your site is PPC marketing. With the help of targeted online ads, you can reach numerous potential clients interested appropriately in the services you are offering. Here, we are going to clarify how to promote your services and products efficiently and expand your customer base with cost-effective PPC services in Delhi, no matter how big or small your business is. What Do You Understand by Start-Up Business? When it comes to run a start-up, you cannot trust your organic marketing efforts to contribute to your start-up’s development, especially when the investors are the right on their toes. What the necessity is exponential development. That’s where paid marketing comes into the mind. You can use it wisely and you obtain immediate results for your efforts. 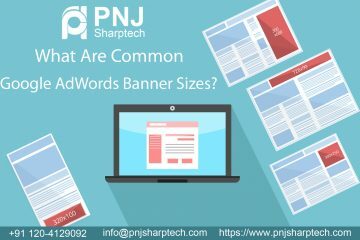 What Does Small Business PPC Mean? Pay-per-clicking advertising is a powerful way for business owners to bid on the keywords that link to their trade or audience interest. Industries bid to display their ads as a result created when a specific keyword is going to search by a user. Why Must Start-Ups Concentrate on Paid-Marketing? Paid marketing is a very powerful marketing plan for immediate results. Start-ups cannot wait for 3 months to 6 months to obtain sales. They are seeking for primary purchase and instant results, so they edit their strategies if required. That’s where framing paid marketing strategy can assist start-ups. You cannot begin a paid marketing campaign just by easily adding the budget to the platform and promoting the content. Firstly, you will have to plan an effective strategy for the campaign and the test its consequences. Here how you can plan your paid marketing method. Setting up a goal is very necessary for accomplishing your defined goal. Without an aim, the business will be incompetent about how many sales it requires to become a profitable start-up. Thereby, you should determine you’re a clear & specific, measurable and time objective. When you have set your objective, choose a target audience to which you can market your products and services. Once you have chosen the audience, the next step is to find out for a platform where you can find out this kind of audience. The important thing is that the type of audience we are seeking both social media platforms and search engines. It is a very important suggestion for you that identifying the platforms for marketing products and services is very necessary for small and large scale enterprises. Without having knowledge about the right channel for marketing, paid marketers can burn their budget. Thus by choosing the right platform, you can promote your business successfully. It is fact that PPC services in Delhi play an important role in promoting Start-up business in the right ways. PPC experts are very knowledgeable about the marketing trends, so you can get the best ideas from them. Conclusion- With the help of PPC services, you can target the ads of your small business to the users finding out for specific search terms related to your products or services.